Q. Do we have a subscription to Foreign Affairs or any other international development magazines? 2. 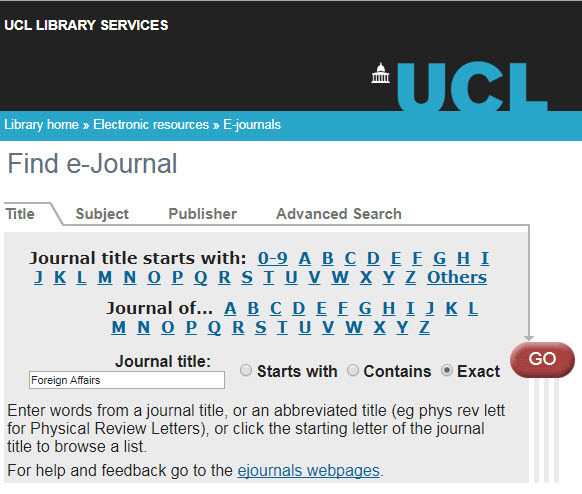 Click on the eJournals option at the top of the page. 4. 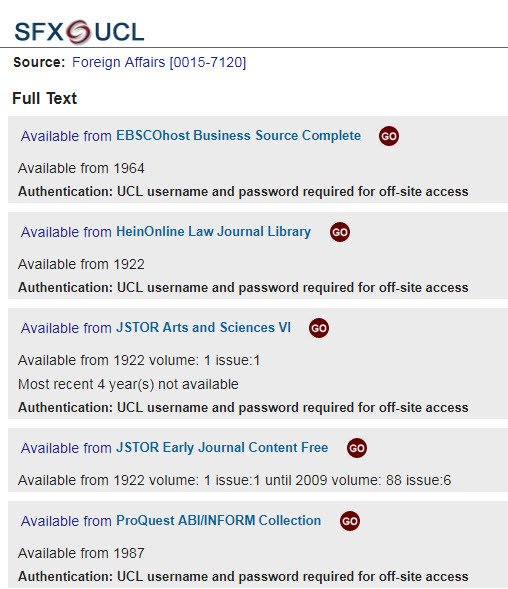 Select which provider you want by noting the date - some have the journal archive. 5. This should take you to the online version of the journal. Tip! If you are trying to access the title remotely, you will be prompted to authenticate using your UCL username and password.